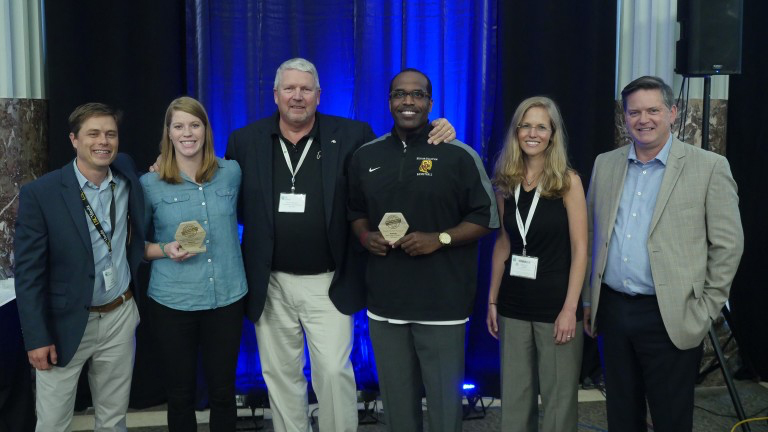 Vancouver, WA (July 6, 2016)—On June 30, the University of Texas at Austin and Huston-Tillotson University were announced as the two inaugural winners of the College Sports Sustainability Makeover Contest at the Green Sports Alliance Summit in Houston, TX. 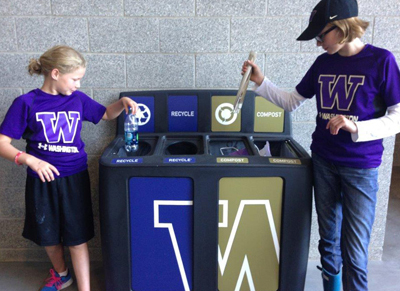 The contest was designed to highlight college athletics’ unique and powerful impact on community sustainability; to influence fans’ sustainability behaviors where they live, work, and play; and to boost college sports’ sustainability capacity. Contest sponsors GreenDrop Recycling Stations from Pacific Cascade Corporation, Eco-Products, EcoSafe Zero Waste, Max-R, and the University of Colorado Boulder Environmental Center provided prizes and support packages valued at over $50,000 for each winning campus. Contest partners included the Green Sports Alliance and the Association for the Advancement of Sustainability in Higher Education. Presenters and recipients at the Green Sports Alliance Summit; Lyle Peters, Director of Sales for the GreenDrop Stations is far right and Thomas C. Henderson, Head Men’s Basketball Coach, Huston-Tillotson University of Austin, TX, is two before Peters. The small-campus category winner, Huston-Tillotson University (HTU), a 141-year-old historically black institution, will receive ten new custom recycling and composting stations from GreenDrop Recycling, a supply of compostable foodware and bags, and on-site sustainability assistance from University of Colorado Boulder (UC) technical experts. HTU has a robust commitment to sustainability, exemplified by the HTU Center for Sustainability and Environmental Justice and HTU’s goal of becoming carbon neutral by 2048. Additionally, HTU has an active student-led group, “Green is the New Black”, which seeks to promote sustainability issues as they impact minority stakeholders, and engage its students in all aspects of sustainability across all of its academic and athletics activities. “We were honored to be part of this College Sustainability Contest”, stated Lyle Peters, Director of Sales for the GreenDrop Stations at Pacific Cascade. “This program will reward those institutions that promote environmental responsibility and sustainability not only to their students, but influence all campus visitors, while helping to impact an entire community”. The large-campus category, the University of Texas at Austin (UT) will receive ten customized waste and recycling bins, a supply of compostable foodware, and on-site assessments from UC sports sustainability staff. UT-Austin’s implementation of sustainability across many sports keyed its win by showing that even the biggest college athletics programs can implement comprehensive sustainability efforts. UT-Austin aligns athletics’ sustainability goals and actions with those of the campus and the City of Austin. Together, this leadership model demonstrates how a very large, research-intensive university can integrate sustainability across all facets of campus life and leverage the power of college sports to expose many fans to the benefits of sustainability principles and practices. Winning campuses were chosen on the basis of need, suitability, leverage, and likelihood of success. Contest entries were received from 48 campuses in 24 states, including all campus types and athletics affiliations. This first of its kind contest ran from March to June 2016. GreenDrop Recycling Stations are helping Penn State with their Green Initiatives. Penn State produced a video showcasing their sustainability efforts and green initiatives for their football stadium that can hold 110,000 spectator. 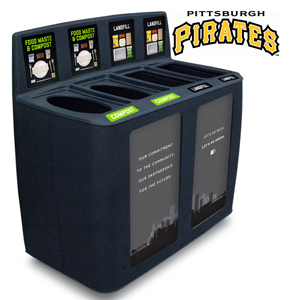 With the GreenDrop Recycling and Composting Stations, their goal is to soon divert 50 tons if waste from landfills. We’d like to congratulate the Hillsboro Hops for clinching the Northwest League championship. 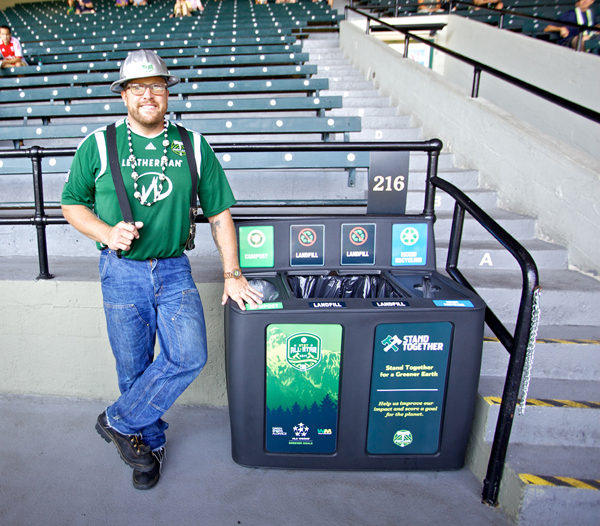 Our GreenDrop Recycling stations are in service at the park and we believe the Earth Deserves A Sporting Chance. Incredible. Amazing. And most of all… perfect. The Hillsboro Hops on Sunday beat the Vancouver Canadians, 4-3, to clinch the Northwest League championship. The win came at Ron Tonkin Field on a warm evening in front of 3,328 delirious fans. Hillsboro won its first title, in just its second year of existence. 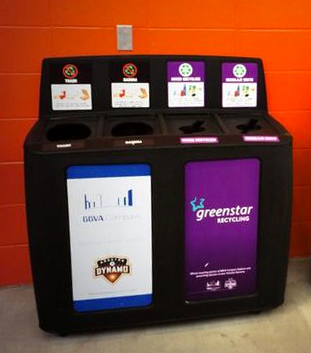 Get caught recycling today at the game to receive a gift card to the Dynamo team store! 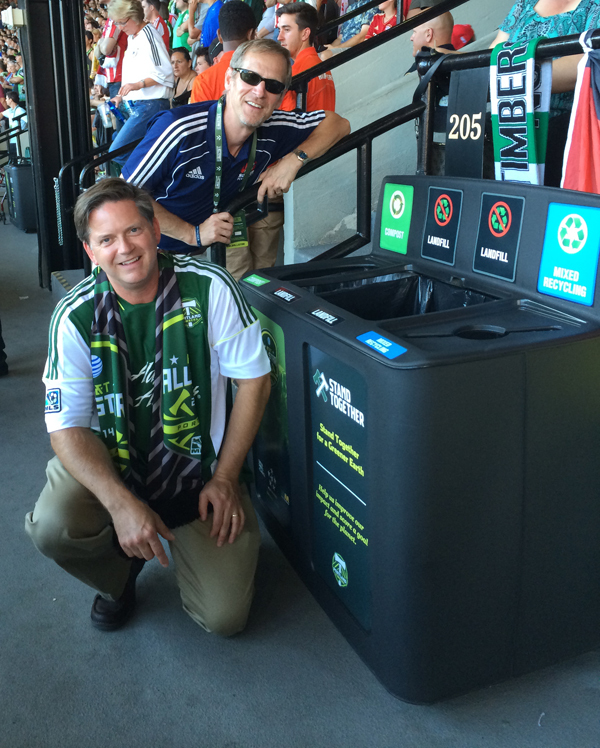 BBVA Compass Stadium, the home of the Houston Dynamo, TXSOTigers football, HoustonDash and numerous events in Houston, Texas, promoted it’s landfill diversion program by rewarding guests who recycle with a gift card to the Dynamo Team store. 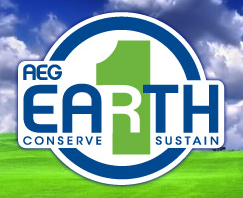 The event was held in conjunction with AEG 1EARTH. 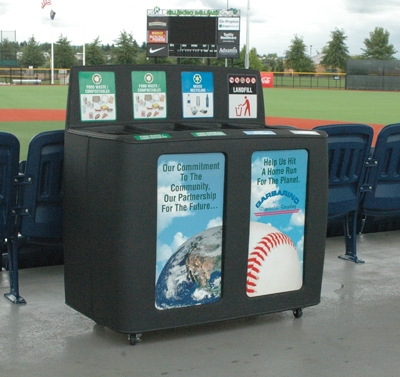 AEG 1EARTH is AEG’s environmental program to manage and reduce the environmental impact of AEG’s live entertainment, sports venues, and other events. AEG is one of the leading sports and entertainment presenters in the world with over 100 of the world’s preeminent facilities which includes BBVA Compass Stadium.